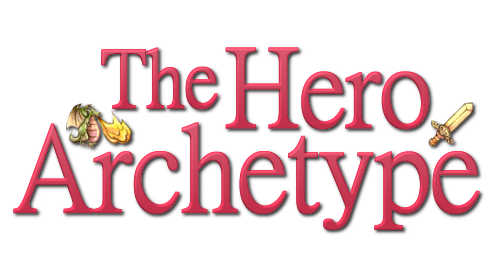 The Hero Archetype: Are Multiplayer Games More Immersive? Imagine you are at home and decide to play a video game. Let’s say you choose a first person shooter or a survival horror. You grab a gamepad, sit comfortably in front of the TV and launch the game. At the beginning it’s hard to focus. You are still thinking about friends and work. But, after a couple of minutes, things starts to change. You start paying more attention to the game details. Each movement and sound coming from the TV become more important than anything happening in the real world. And while at first you were struggling to remember the controls, now you hardly even notice the gamepad in your hands. Gradually, the objectives of the game become more important, the dangers more scary, the victories more rewarding. Your heart beat increases and your hands start to sweat. The outside world is virtually non-existent. For a moment, it’s like you are inside the game. You are immersed, and it’s awesome! Amensia: The Dark Descent provides one of the most immersive experiences available. The experience of immersion is among the most valued by both players and developers. Over the years, it has motivated a considerable amount of studies. As a result, there are now several theories that try to explain why it happens. Some think it’s because the increased focus on the virtual stimuli makes the technology providing the experience less noticeable. In other words, the player become less aware that the images are coming from the TV or that he is using a gamepad to control the avatar. Others believe it has something to do with how the constant stream of data allows the player to build representation of the virtual world so complex, that it starts being confused with the real world. 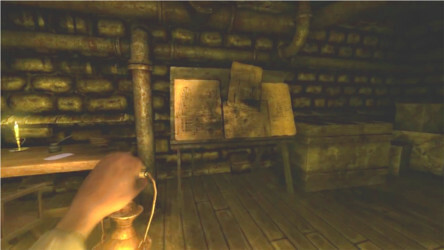 Research has also allowed experts to distinguish from different types of immersive experiences: Flow (in which the user’s cognitive resources are highly concentrated in the virtual task), emotional involvement (when the game events manage to elicit intense affective reactions), character involvement (a high level of attachment developed towards the characters) and spatial presence (the feeling of being inside the game). Games like Kaboom! and Resident Evil 2 tend to provoke different types of immersion. Spatial presence is probably the most known type of immersive experiences. Thanks to scientists, now we know a lot about how graphics, sound and controllers affect it. However, the effect of social variables have been frequently excluded from these studies. There is little information about how the presence of another human affects spatial immersion in either cooperative or competitive matches. This even though millions of dollars are spent every year to further improve the quality of modern multiplayer games. Apparently, the nature of the opponent can significantly affect how we see and experience a game. 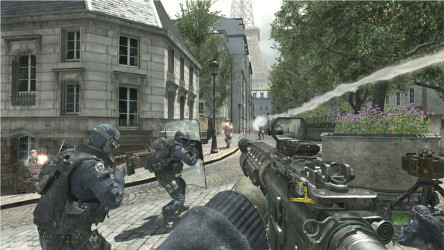 Playing against a human instead of a computer, for example, made players expect a game to be more challenging (Ravaja, et al. 2006), as well as experience more positive and intense emotions (Ravaja, et al. 2006; Ravaja, 2009). This might have had something to do with how the introduction of a human opponent made what happened in the game more socially relevant. Victories and defeats could now be seen as signs of being better or worse than the opponent. This would have made the game more important (as it had a bigger effect on self-esteem), exciting (as the player was more afraid of losing or missing the opportunity to win) and (if the challenge wasn´t overwhelming) rewarding. This is congruent with a recent neurological study in which thinking the opponent was human apparently made victories more rewarding (Kätsyri, Hari, Ravaja & Nummenmaa, 2012). The importance of human opponents resides in their capacity to make the game socially relevant. Playing against a human opponent also increased the level of attention and the feeling of being inside the game (Ravaja, et al. 2006; Ravaja, 2009). Maybe the additional importance given to the game made the players pay more attention to it, reducing the relevance of any real world stimuli. This would have gradually made them less aware of the mediating technology (the hardware and software providing the experience), giving the impression that the game was real. Another explanation could be that increased emotional arousal on its own caused the effect. As we know, video games try to elicit feelings that are congruent with the depicted scenario. 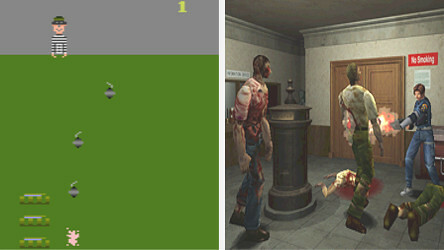 Players are supposed to be afraid of their avatar’s getting shot and experience relief after successfully overcoming a difficult jump. It’s possible then that the experience of more intense emotions strongly related to the situation portrayed (whether it was a football match or a futuristic battlefield) made the game feel more realistic. The level in which the player knew the opponent had a similar effect. Playing against a friend, for example, elicited more positive and intense emotions than playing against a stranger (Ravaja, et al. 2006; Ravaja, 2009). It was also accompanied by an increased level of engagement (Ravaja, et al. 2006; Ravaja, 2009). One possible explanation is that comparisons with a friend had a higher impact on self-esteem. This would have made the game more important for the players, forcing them to pay more attention. 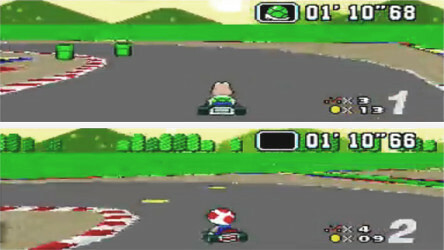 Few things engage the player’s attention like racing against a friend in Super Mario Kart. It’s important to notice that the positive effect friendship had on spatial presence disappeared when the opponent was located in a different room (Ravaja, 2009). This suggests that emotional arousal and engagement influenced immersion only when the other player was physically present. 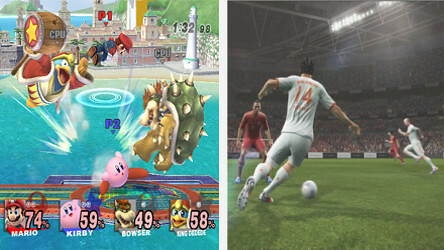 It’s possible that being able to see the opponent’s reactions made the player experience emotions more related to competition, increasing it’s effect on engagement and/or immersion. Maybe watching his friend laugh at him made the player care less about the comfort of the chair and more about winning the next round. Being in the presence of the opponent was also accompanied by significantly more positive emotions (Ravaja, 2009). The result is interesting as being able to see the opponent’s reactions would have exposed the player to both negative and positive feedback (like the enemy´s facial expressions of mockery and frustration). Maybe the increased effect the game had over self-esteem just made it more exciting. A feature considered desirable in a game. Local multiplayer games allow, for better or worse, to see the reactions of the opponent. There are many reasons to study how spatial immersion works in multiplayer games. It could help us better understand, for example, how important social comparison is for emotional arousal and engagement. It could also help improve the quality of multiplayer based games, whether they are online, split-screen or turn-based; competitive or cooperative. Either way, it all depends on how attractive the subject is for players and game designers, and how interesting it becomes for experts in the field of human computer interaction.